For people or businesses that don’t like the residue marks from sticker decals, Static Clings provide the best option. 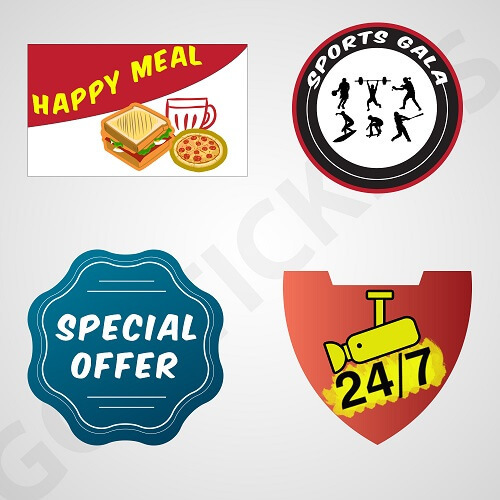 These static window clings are the perfect options for the retail and fashion industries and many others who indulge in various short-term promotions of their products. 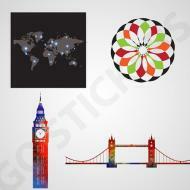 Available at Go Stickers in all sizes and shapes, these clings are based on electrostatic energy that is stored on their surfaces and makes them cling to plain surfaces especially glass but can also stick on metals or plastic of different types. On bulk order will offer free printing advice along with free shipping and no extra added costs like printing plates or cutting die equipment as well. When looking for short-term promotional displays on flat surfaces like glass, metals or plastics of various types, Static Clings provide an excellent and easy replacement for the traditional sticker decals. These vinyl clings can be statically charged on either side for better promotional or any other required printing to be displayed efficiently through the clear glass surfaces they are applied on. Window cling decals from Go Stickers go through just the right processes of material processing, printing and then finally statically charging them to stay clinging to the surfaces they are applied on. Our clings will provide you longest lasting outstanding finishes along with durable static based stick as well. 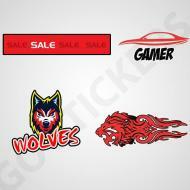 Go Stickers are one of the most experienced and skilled stickers companies in the business, we have the most reliable cutting and printing equipment along with the most advanced static charge storing stuff as well that collectively guarantee the Highest Quality Custom Static Clings available in all sizes, colors, and shapes. Our clear window static decals are perfect options for no residue stick that lasts the longest while keeping the good as new shine and finish as well. 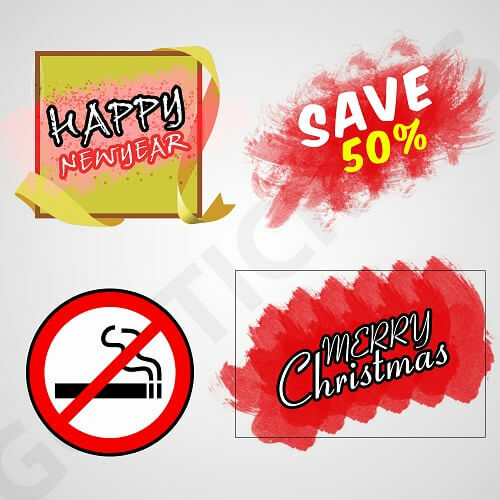 Seasonal or short-term based promotions in retail stores or any other similar requirements are fulfilled efficiently using our custom clear static signs options. Go Stickers have developed efficient and reliable sourcing and manufacturing channels during the decades of experience in the stickers industry and we use them to best effect in order to provide dependable Wholesale Static Clings to our clients that are manufactured using the top quality materials and printing designs efficiency along with most durable static charge that will keep them clinging to plain surfaces for the longest time possible. Dropping quality of our products to reduce unit prices is not how we operate in the market; instead, we provide highest quality materials at most attractive wholesale prices. Helped by our most advanced cutting die equipment, Go Stickers can fine cut Custom Static Clings in all the required sizes and shapes that will suit our client's display windows perfectly. With their ability to have static charge or either side, our highest quality static stickers can be used on transparent windows from the inside displaying retail or fashion promotions efficiently. 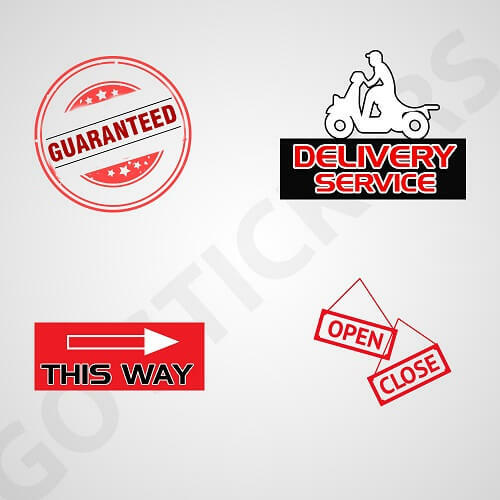 Additionally, Go Stickers also have the most efficient and advanced printing plates that enable us to print the base colors or the text colors exactly to what is required from them. Go Stickers make use of just the highest quality materials in our window cling decals or any other type of Custom Static Clings that enables them to last the longest while keeping their new shine for that while as well. Apart from that, unlike adhesive based stickers, having no kind of adhesives that often leave residue behind or are difficult to apply and offer no changeable positions once asked, our statically charged clings can provide the flattest stick for the longest time possible. 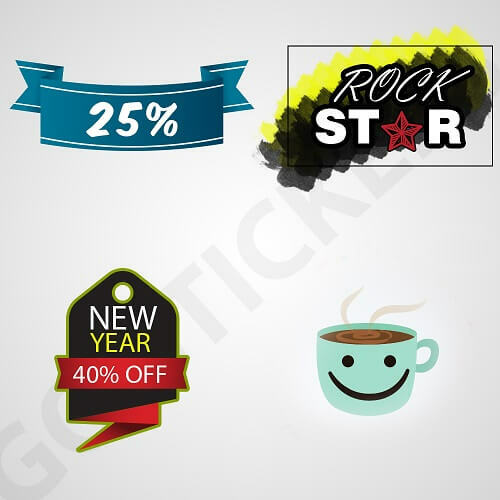 If you are a Static Clings retailer or are a supermarket that uses these for promotional displays quite often and are looking for best wholesale offers on them including free shipping and free printing, Go Stickers is the best option for you. Our highest quality cling products will not ask any additional charges for the printing plates of the cutting die equipment as well.